Style Firm LA is a new activewear brand launched here in LA. They are doing a free monthly fitness series at Bloomingdales in Santa Monica where different studios come to lead a variety of workouts. Tonight’s workout was led by Yogafit. 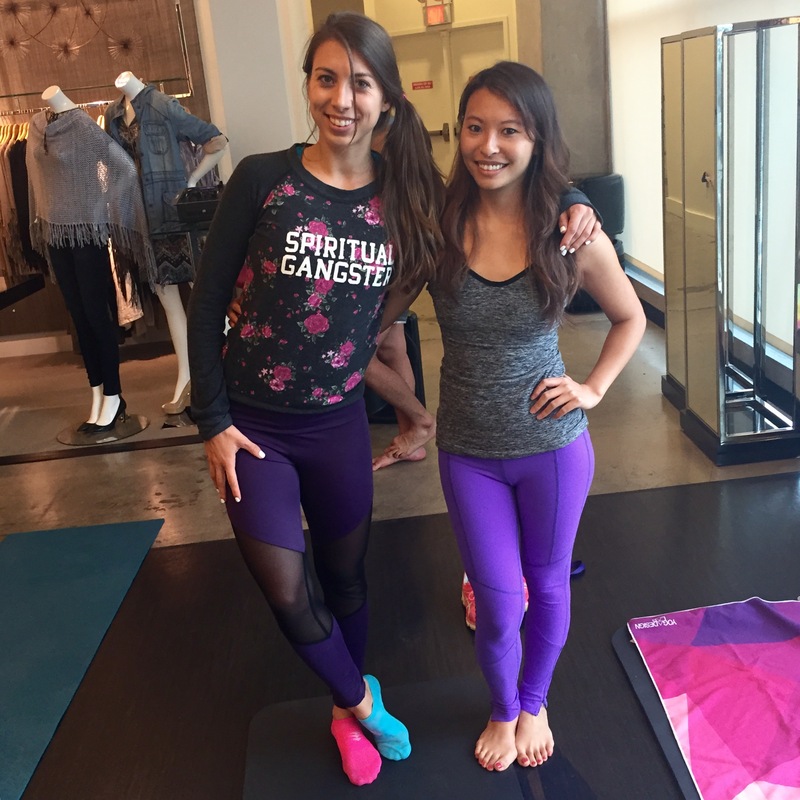 Instructor Marxel (who teaches at Yogafit and Hot8) led quite the workout at Bloomingdales! I was definitely breaking a sweat between all the balancing, planking and attempted head-standing. If all of this was done at Bloomingdales, I can only imagine the intensity of a real studio class! I attended the first event in Style Firm’s Bend + Burn series last month hosted by Orangetheory and had a great time so I was thrilled when the Style Firm ladies reached out to me about this one. Not only do you get a great workout, but there are always great refreshments, bubbly and snacks afterwards from Kombrewcha, Seasons 52 and more. Not to mention, we each got multiple swag bags and a bunch of Quest Nutrition goodies (which I LOVE). If you haven’t been to one of these events, be sure to sign up for the next one because they are a real treat! Marissa and Natalie of Style Firm also informed me that they will be hosting a fitness class at all LA Bloomingdales on Oct 3, so check back to get more info on that!